Helping your business develop and grow, overcoming challenges and difficulties, from start-ups through to well established companies – whatever the aims, plans, or needs, PCH will help develop strategy, growth, expansion, implement improvements, new systems and help run projects large or small in all areas of the company. A wide ranging, Technology, Innovation, Project Management, Business support and development company. Extensive experience within Manufacturing Industries, corporate management in public and private sectors, providing an individual service, helping you overcome lack of resources/time and the challenges of running a business as it grows. 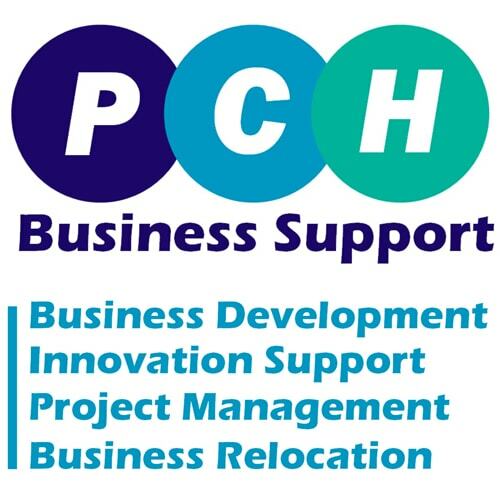 To find out more please visit www.pchbusinesssupport.co.uk or call 07715 008521.